Search For "Restaurants & Bars" Companies in Cleveland, Ohio - Click Here Now! 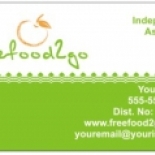 Free Food 2 Go Is A Gourmet Survival Food Co-op That Also Markets Health And Wellness Items And Emergency Preparedness Items. It Doesn't Cost Very Much To Join. You Can Get Started For As Little As $16 Or You Can Purchase A Sample Pack For $7 Which Includes 8 Servings Of Delicious Food And A Sample Pack Of Real Milk. It Is An Excellent Home-based Business Providing Real Solutions To Rising Cost Of Living And Helping People To Lead Healthier Lives. Free Food 2 Go in Cleveland is a company that specializes in Eating Places. Our records show it was established in Ohio.